Positioned on a corner plot at the head of a quiet and popular development within walking distance of the village centre and its amenities, a well-presented end-mews house with landscaped private gardens and driveway providing off road parking for several vehicles. From our office on the High Street proceed in the direction of Nantwich passing Tarporley Community Centre on the left hand side. Proceed a little further and pass the Foresters Arms public house on the right and take the immediate right onto Birch Heath Road. Continue for a short distance and turn right onto Bridgedown and then first left into Honeyfields. The property will be found at the head of the development on the right hand side. Window to front, radiator, patio doors to rear and Dimplex electric fire with marble hearth. Window to front, radiator, door to rear, fitted with a range of wall and base units comprising cupboards and drawers, base units with work surfaces over and tiled splashback, four ring gas hob with oven and grill, understairs storage cupboard, space and plumbing for washing machine, stainless steel sink with mixer tap and drainer, tiled floor to Kitchen space with laminate flooring to Dining Area and Worcester Boiler. Windows to front and rear and radiator. Window to front, radiator, loft access and built-in over stairs storage cupboard. 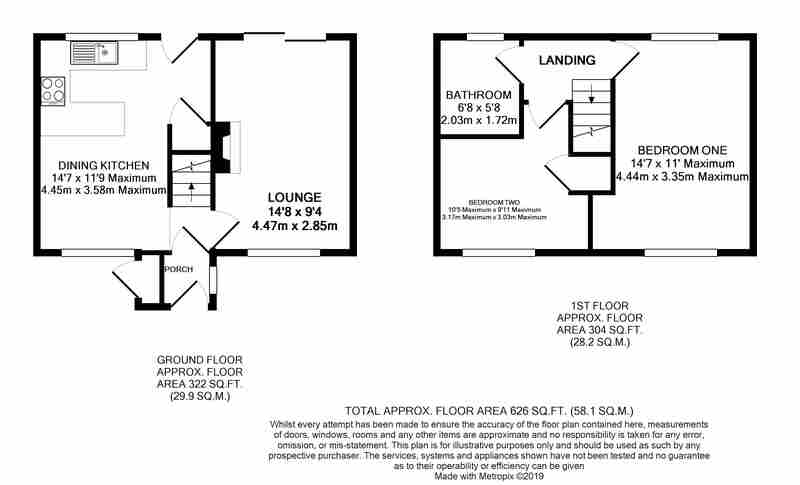 Cushion flooring, window to rear, radiator, low level WC, half tiled walls, bath with wall mounted shower head over and glass screen, vanity unit with wash hand basin and mixer taps. The the rear the garden is is mainly laid to lawn with raised flower beds, a patio area ideal for outside entertainment and fence/hedge boundaries creating privacy. To the front the garden is laid to lawn with a small path to the front door. There is a storage area for garden equipment and a side gate giving access to the rear. The driveway provides off road parking for several vehicles.